Join our Slasher Studios hosts Kevin Sommerfield and Steve Goltz tonight at 10PM central as they discuss the world of slasher Films. On this week’s special episode, the duo will be going over their favorite chase scenes. 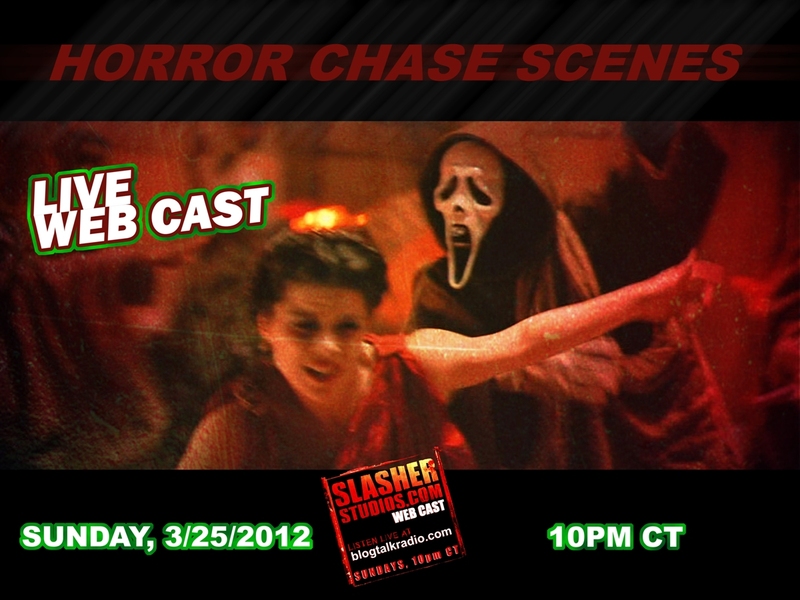 After all without good chase scenes, what fun would a slasher be? To listen to live, simply click on the link below tonight at 10PM central. You can also listen to an archive of this show after it has aired or any of our previous shows by clicking on the same link.